• Alain Juppé: We are ready! In contrast with his cartoons on UN intervention — with its smiles, bon enfant-ness, and joy incarnate — and on U.S. intervention — with its hatred, death, and destruction (See UN Intervention Good, U.S. intervention Bad) — Plantu's cartoon on French intervention is something between the two (the French fighter is more realistic than the UN plane but with less focus than the U.S. plane on its killing capacities, while its pilot's neutral expression avoids the evil look of his American counterpart) and thus reflects, sans doute, the golden middle road. News Real blog quoted Ewald Stadler as saying (danke zu Ben), as the BZÖ parliamentarian addressed the Turkish ambassador as well as members of "the governing coalition, with your romantics of tolerance and ‘devotion’ to human rights." There are also people sick and tired of the one-way street tolerance babble. 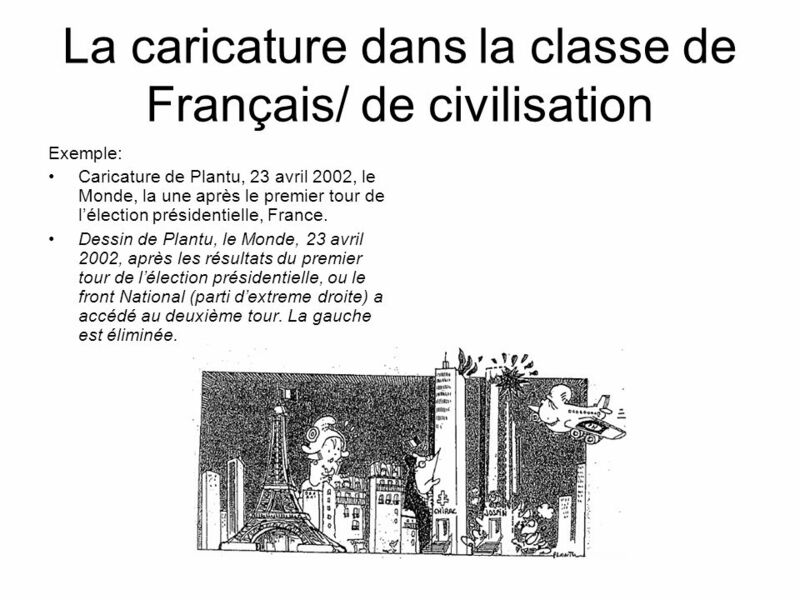 Compare Plantu's March 18, 2011, cartoon regarding Libya to his cartoon regarding Iraq of exactly seven years earlier (March 19, 2004)… See any difference? What to make of a society that can build robots that play the violin, but not one that can take the place of a man climbing into a reactor chamber? The answer from Germans is always the same: panic. No, Germany doesn’t get hit by earthquakes. But it regularly gets hit by seismic waves of extreme and indulgent panic like the one that has just rolled over the country shortly after the monster quake hit Japan. Otherwise Geiger counters are selling like bad ideas in the land that coined and added to its' wildly successful imports, the term angst. The German news folks have all hightailed it down south to Osaka and are reporting from there (or maybe they’re in Taiwan by now). Their rescue teams have headed back to Germany after declaring that there is no one left in Japan to be rescued. Instapundit quotes Foreign Policy's Joshua Keating as reporting on the Qaddafi régime's response to the French government's recognition of Libya's rebel forces. Saif isn't exactly brimming with credibility at this point, but this isn't the first time these sorts of accusations have been made against Sarkozy. … It will be interesting to see if Saif can back up his big accusations. supposedly picking up windfall political fruit as if sitting in an armchair. Condensed, the argument goes like this: There has been only profit for Iran from the ouster of Hosni Mubarak, who represented an Arab bulwark against Tehran’s nuclear weapons ambitions and the mullahs’ allies, Hezbollah and Hamas. Conversely, and beyond its hopes for democracy in the Middle East, the United States and some of its Western friends have reaped potential grief in the destabilization their old regional power relationships. On the ides of March 2011, that assessment appears incomplete and almost mild. Rather, there’s a developing sense of foreboding. Col. Muammar el-Qaddafi has increasingly real chances of putting down the rebellion against him in Libya. Before his boss could try to paper over what he said last week, James R. Clapper Jr., President Barack Obama’s director of national intelligence, testified before Congress that the dictator’s forces “will prevail” in the long term. Apart from twisting the neck of the theories of inexorable popular rage certain to engulf all the region’s tyrants (Just you wait, Tehran! ), this shard of very possible truth places the West’s hesitant, stuttering position on Libya parallel to its halting response to the threat of Iranian nukes — and reassures Iran’s leaders of their wisdom in moving to crush their own protesters. A second naïve premise is also collapsing. It was the Pollyanna-ish (and calming) assumption of some analysts that while pocketing the disarray from the Arab upheaval, Iran was too clever to meddle in creating more of it. Now, for the first time, we’re told this isn’t so. … [The] account of active Iranian troublemaking in Bahrain, a country of basic strategic importance to America, is significant. Add to that a surge of new notions of Western impotence — plus an emboldened Iran — if the Libyan colonel prevails. And this: Last month, Britain provided a new urgency in the assessment of Iran’s nuclear weapons timetable. Defense Minister Liam Fox has said “it is entirely possible” that Iran could produce a nuke in 2012. So what to do? No decisive response on Iran, the ultimate Middle Eastern issue, is coming from Western capitals. Their lack of focus on it, their nervousness about linking the Arab revolts with Iran through urging young Arab democracies to back Iran’s protest movement, is striking. …This generalized timidity is not escaping attention. Bernard Kouchner, the former French foreign minister, put his finger on it in a conversation last week. … Senator John Kyl … accused the administration of failing to go beyond “the first grade” level in assisting the Iranian opposition in the manner the United States had helped Poland’s Solidarity protesters in the years before the fall of the Berlin Wall. Another subject that Plantu reminisced about in Le Monde Magazine was the recent poll that gave the Front National's Marine Le Pen a commanding lead regarding voting intentions in the presidential contest next year. This reminded Plantu, of course, of 2002, when, to everybody's consternation, Marine's father (Jean-Marie Le Pen) beat the socialists' Lionel Jospin (then France's incumbent prime minister) for the run-off in the second round against incumbent President Jacques Chirac. Tsunamis and reactor failures be damned! Bee crisis could define 21st century. In other words, the suspects with the highest propensity of getting the study's author either a) props or 2) moolah. Cabbage. Jack. Bling-bling. If certain agricultural practices and public policies are changed, says Marie-Pierre Chauzat, one of the report’s lead researchers, a full-scale bee crisis can be averted. It's right up ther with the middle-class habit of getting passionate about 'crices' one only understands how to ritually imbibe in by reading the right papers. Un vent d'islamophobie est-il en train de souffler sur les Etats-Unis ? Une audition est prévue aujourd'hui au Congrès sur l'ampleur de la radicalisation au sein de la communauté musulmane américaine. Cette radicalisation, est-ce une réalité ? Comment vivent les musulmans aux Etats-Unis ? Pourquoi ce débat aujourd'hui. Débattre sur l'Islam serait devenue une tendance, une mode ? They cannot say that they hadn't been warned, long ago, that Colonel Qaddafi was a tyrant and an international terrorist. On several occasions, American president Ronald Reagan warned the Europeans who… already then… preferred to close their eyes [literally: to look at their shoes]. Well, that's swell — maybe, in 2028 (if he's still around), Plantu will have a page in Le Monde Magazine (if it's still around) on how George W Bush was right to take on the Taliban and Saddam Hussein and how the Europeans were wrong to keep their eyes closed. Because at the time, of course, all was different: notice Plantu's eternal saliva drop from Reagan's mouth showing how the drooliong president is old and senile. Notice also how the April 1986 cartoon (bottom left) depicts the war-mongering American (from whose aircraft-carrier-like head of hair a fighter takes off) and the war-mongering sheik flank the worried peace-loving (and innocent-looking) European in-between them. In a dispassionate study in which he invokes common sense, Jim Miller reviews the decades-old "academic debate over whether the death penalty deters murders." Simplifying greatly, you could say that the early part of that debate was dominated by sociologists who found no deterrent effect, and the latter part has been dominated by economists, who have found that every execution deters a number of murders, with most studies finding that it deters between 5 and 15 murders. In an earlier study on the subject of the death penalty and deterrence (where we learn for instance that one "common mistake is to compare states with death penalty laws to states without them", ignoring "the fact that the states with the laws do not always impose the death penalty"), Jim Miller used the case of BTK serial killer Dennis Rader as an illustration. You seldom hear conservatives note, disapprovingly, that "America is the only industrialized country in the world that doesn't have X." It's not hard to figure out why, since X usually involves European (or Canadian or Japanese) big government. But liberals sometimes imagine that America's peculiar lack of, say, nationalized health care, tough gun control, decent child care, widespread mass transport, or substantial arts funding is a sign of political underdevelopment. And so they bemoan America's uniqueness. Particularly on the death penalty … The flood of capital punishment horror stories … has left anti-death-penalty liberals more convinced than ever that, on this issue at least, American political culture is inferior to its counterparts across the Atlantic. If only it were that simple. It's true that all of America's G-7 partners, save Japan, have abolished capital punishment, but the reason isn't, as death-penalty opponents usually assume, that their populations eschew vengeance. In fact, opinion polls show that Europeans and Canadians crave executions almost as much as their American counterparts do. It's just that their politicians don't listen to them. In other words, if these countries' political cultures are morally superior to America's, it's because they're less democratic. …Differences in the way survey questions are framed complicate direct comparisons with Europe. …you find very few European countries where the public clearly opposes it, and there are a number where support is very strong. … There is barely a country in Europe where the death penalty was abolished in response to public opinion rather than in spite of it. …Differences between European parliamentary government and the American separation-of-powers system also play a role. Parliamentary government may provide voters with more ideological variety, but it is much more resistant to political upstarts, outsiders, and the single-issue politics on which the death penalty thrives. In parliamentary systems, people tend to vote for parties, not individuals; and party committees choose which candidates stand for election. As a result, parties are less influenced by the odd new impulses that now and again bubble up from the electorate. …Basically, then, Europe doesn't have the death penalty because its political systems are less democratic, or at least more insulated from populist impulses, than the U.S. government. And elites know it. Referring to France, a recent article in the UNESCO Courier noted that "action by courageous political leaders has been needed to overcome local public opinion that has remained mostly in favour of the death penalty." …all over the industrialized world, it turns out that the men and women on the street like the death penalty. It's just that in Europe and Canada elites have exercised a kind of noblesse oblige. They've chosen a[n allegedly — ES] more civilized and humane political order over a fully popular and participatory one. Stop Whining. You've Created your Own Worst Stereotypes. Now iss de time on Schprockets venn ve tance. Castro's reforms envision a growing "non-state" retail and farming sector and more efficient state-run companies. They are expected to be approved at a Communist Party congress in April. The massive lay-offs have reportedly come under fire during tens of thousands of meetings held across the island as a prelude to the congress. The program is being described as a "reorganization" of the labor force because in theory laid-off workers are declared "available" and offered other jobs or they can lease fallow state land or become self-employed. Yet despite these failures of the EU project-greater prosperity, peace, and international influence through increased economic and political unification-many liberals in America continue to pursue policies, both domestic and foreign, that are moving the United States closer to the EU paradigm. Indeed, many on the Left approve of the European model as something to emulate. Partly, this reflects the place Europe has traditionally held in the imagination of some Americans. Like the Yankee ingénues in a Henry James novel, they have admired the Old World of sophistication, culture, and civilization that contrasts with the New World of crude, go-getting, frontier brashness. But these days, this admiration more fundamentally reflects the belief that Europe provides a more humane and sophisticated set of social and political values. Elsewhere in Hypocracy Watch... Is there something to this humaneness-sophistication-superiority PR meme that I'm missing about globalization being an American invention, and being unthinkably bad? Rumours that Renault is considering plans to delocalise production for some of the models made for its low-cost brand Dacia to Morocco have prompted concern in Romania. "Morocco threatens 'Romanian made' Dacia," headlines Gândul, which reports that there are two reasons why the carmaker could delocalise: first and foremost, "management's exasperation with union demands for annual bonuses of 700 lei (175 euros) and an extra of 500 lei (125 euros) per month;" and secondly, the poor state of Romanian road system, which has made it expensive to export cars from the country. Hourly rates of around five euros per hour that Renault could expect to pay in Tangier are considerably less than the 8 euros per hour it currently pays in Romania. However, the Bucharest daily notes that the plant in Mioveni was nonetheless responsible for 2.5 billion euros in exports in 2010, or 7% of Romania's export revenue. Gândul also points out that Dacia currently employes 150,000 people in Romania, of whom 20,000 work at Mioveni. And you thought it was their superhuman intelligence, organizational skills, and engineering that made them what they are today.... I suggest that they import Wisconsin's Democrat societal-crash-test-dummies for a while. After all, they're using the rhetoric of unshod children starving in the street were it not for mommie's 6 hour a day, 10 month a year, $87K per year job which a trsined chimpanzee can do on auto-pilot. There is a straightforward reason as to why the baby-boomer generation is becoming more conservative (“As boomers wrinkle”, January 1st). As the old joke puts it, a conservative is a liberal who just got mugged, and a liberal is a conservative who just got arrested. As one ages, the likelihood of being mugged increases while the likelihood of being arrested decreases.